When opening an article that is placed on a layout, this layout is displayed in the Layout tab so that the way the article is used in the designed page can be determined. The downside of this process is that this can cause longer wait times because extra information needs to be processed. This could be because these objects are placed on a higher layer than the layer that the article is placed on, or because the objects are in the same layer as the article but arranged on a higher level. When viewing the article in Layout view, article components can therefore be partially or fully obscured from view. As a result, any changes made to the article content may not visible in Layout view or the article component could potentially not be accessible from Layout view, for example to open it for editing. While holding down the Option key (Mac OS) or Alt key (Windows), double-click the article template in the Smart Connection panel. 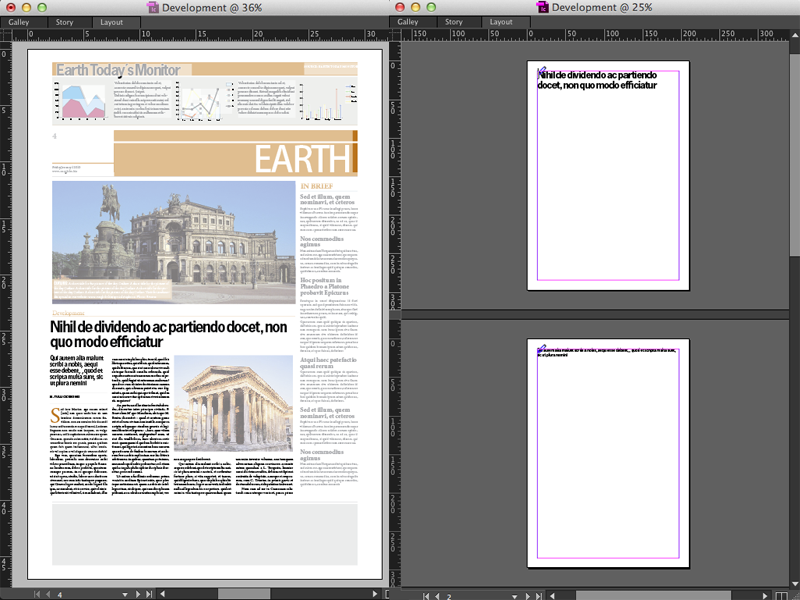 Note: You can tell that the article template is opened by the file name that is displayed in the tab. When the article template is opened as an instance of a new article — by double-clicking the article — the name in the tab is 'Untitled'. Use this method to view the content of the article without checking-out the article, thereby allowing other users to open it for editing. Right-click the article in the Smart Connection panel or the Dossier panel and choose Open Read-Only. Articles that are opened as read-only can be distinguished from regularly opened articles by the phrase [Read-Only] in the tab or title bar. Figure: [Read-Only] displayed in the tab of an opened article. 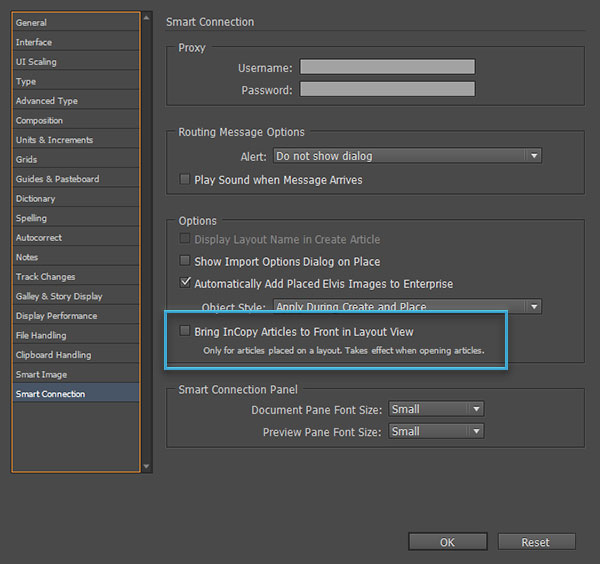 3 July 2018: Updated section 'Opening a placed article while bringing its components to the front' with information about Smart Connection for Adobe CC 2018.